Above: Marie-Pascal’s previous water source. 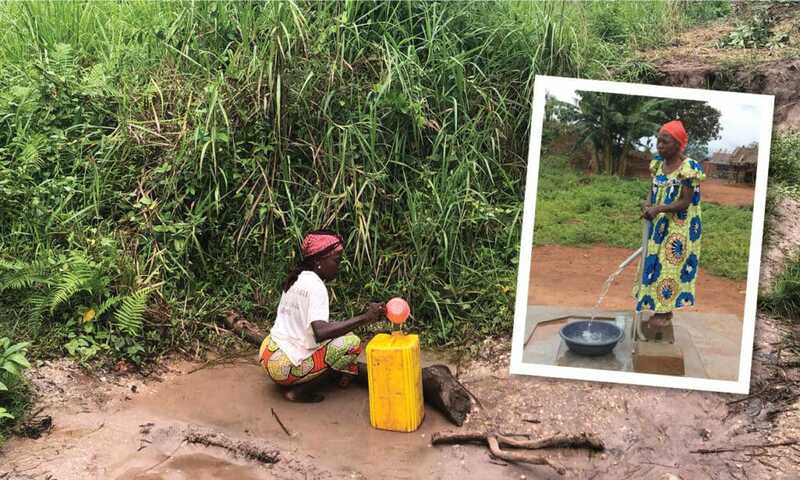 Now she pumps clean, safe water from a new well in WAPO! Do you remember the story we shared about Marie-Pascal Naléme? She is a grandmother, born and raised in the small town of Wapo. Her family did not have reliable access to clean water and she spent many hours a day walking to an unclean water source. Though Wapo had 2 wells, the village needed 6 more in order to provide enough water for its 2,000 residents. In order to reach our 2020 goal of providing clean water to our focus region, we must first know how many people live in each village and the number of working wells in the area. 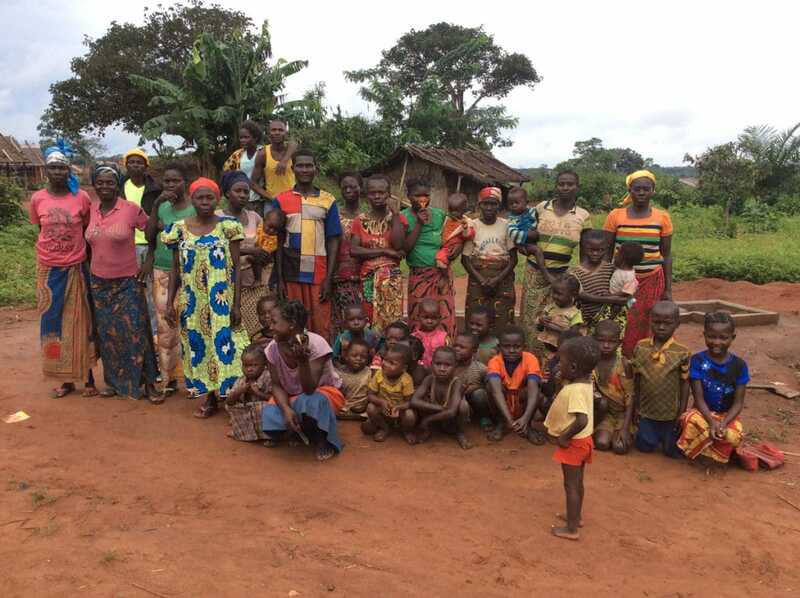 Since there is no reliable census of the Central African Republic’s population, we must gather the information village by village. This past year, we have been fortunate to have Izabela Cywa launch the baseline assessment study. 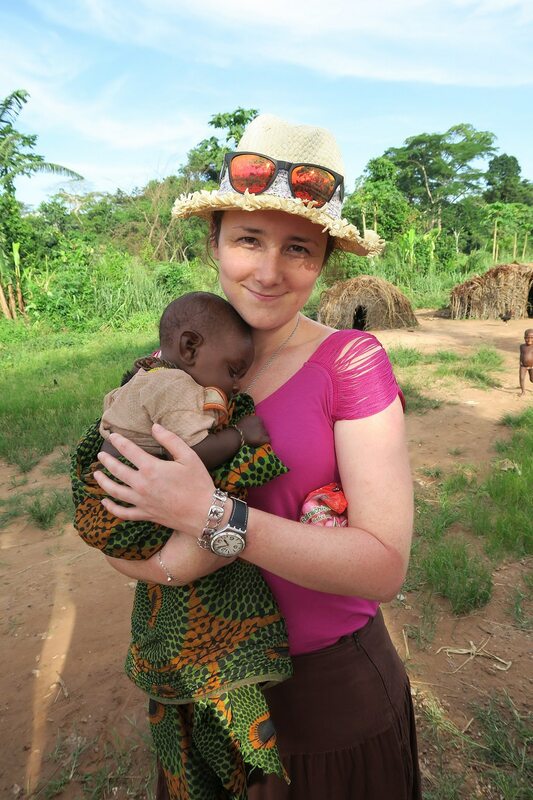 She’s worked alongside our local staff members, Jean-Albert and Valentin. Together they have trekked into every little village in our focus region—not an easy job! They’ve spoken with village chiefs, local governments, and clinics in order to gather population data, which is vital to the ending of water poverty. This current effort to estimate the water need for a whole region is unprecedented! As the data comes in, we continue to close the gap by drilling more wells and incorporating these communities into our maintenance program. Ten years ago it was my privilege to visit this wonderful country and build relationships with wonderful people. Believe me the need for clean water is great . God bless the Water For Good team.